2010 years ago, Jesus changed the world. I bet, if we would let Him, He would do it again today. And EVERY SINGLE DAY. I would like to invite you to go with me on a journey. Almost exactly 2 and a half years ago I stepped out of my life of comfort to go on a journey with my Savior. I thought I had a pretty good idea of what this journey was going to look like. I HAD NO IDEA. And I am so thankful, because it has indeed been more than all I could have ever asked or imagined. It is a journey in which I learn a little more every day about God's awesome nature and his extravagant compassion. It is a journey on which I strive each day to give a little more of myself to Him and a little less of myself to, well, myself. I have been opened to ways I never could have imagined to see Jesus's heart for the poor, and His grief over those who neglect them. I have been shown that the way I was choosing to live my life before this journey was not only intolerable, but impossible for someone who claimed to believe in the Gospel of Jesus Christ. And, for the record, I do. This journey has not only changed my perspective, it has changed my priorities. And the best part is this: it is FAR from over. Recently I have been blessed to listen to the preachings of a man named David Platt. More accurately, I have been blessed to listen to the preachings of a man named Jesus, read to me in all their truth and might, through my computer screen by a man named David Platt. This man articulates beautifully all the God has opened my heart to in the past 2 and a half years and says everything my heart desires to say. The Truth is bold, in your face, and even frightening. IT IS THE WORD OF GOD. So here is my request. I am begging and pleading with all of you to take 8 hours out of your life to watch David Platt's Radical series. (I am pretty sure it is supposed to span over a period of 8 weeks, but if you are like me you are going to want to watch them all back to back in a day!) Then, after you have been completely blown away, I am asking to really pray about and consider leading a small group in the study of these sermonsas well as the Faith works series that goes hand in hand with it. I believe that if we truly listen to and believe and grasp this word, it will change our nation and the world. I am excited to watch this spread, these Truths are compelling and life altering ... It's time to put our faith into action! I began listening to these messages after I read your last post... and I agree... every Christian who claims to know Jesus personally needs to hear these. It's impossible to go back to 'normal' life when confronted with the Word of God as presented. Thank you for not only setting an example, but living it out for us on paper! (well, the web). I encourage the women to have their men watch this. I had my husband sit with me a few weeks ago to do this series. It is awesome. I think one of Platt's catalysts was Richard Stearns' book , The Hole In Our Gospel. This has changed me, so I buy as many as I can at a time, and give them away. Just like this Radical series will, it spread all through the church! Our Missions team is ignited!!! God never fails to revive us, as we look to see where he is moving!!! !Kisses for you and your sweet girls. I just started reading A Hole in the Gospel by Richard Stearns, president of World Vision. You echo him! Thank you Katie for those words. I will check out your links. My Sis just listened to him this week after you recommended him in the last post - downloaded his audio on itunes. Anyway, she called just freakin' out, it was soo good - I am off the listen now! :) Thanks for sharing! I have been to David Platt's church when I was visiting family and friends in Birmingham and was truly blessed! I am half way through the 8 part series - it is such an encouragement and confirmation that the path my husband and I are on of giving up everything to follow Him to a place where the gospel isn't prevelent to share His life-saving Word with others is what we're called to do! I hope others are blessed by this series, too. Thanks for sharing it! My wife and I wait for each of your posts with eager anticipation. We love you and the work you do, but don't even know you. When you mentioned David Platt recently, we began to listen to his sermons. Jesus continues to rock our world! We praise Him, we praise Him. Thank you, for being faithful! 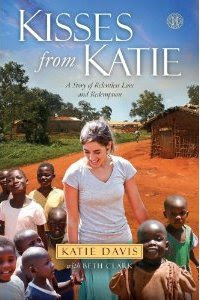 Katie, David Platt's passion for Jesus and the Word has forever altered my life, too! For others who read these comments and have not yet listened to the series, you must!!! I wept as I sat in the Radical services when they were delivered and I trembled during the Faith Works series. God will completely ruin YOUR life through these messages and replace it with HIS life. It's a radical step of faith, but the best path you will ever choose to take. Keep living for Him, Katie. Oooo boy. Almost done the first one. That's some heavy stuff. Definitley speaks the truth though. Thanks for sharing girl! Thank you so much for the links -- I know what I'm doing tonight, and I know life won't ever be the same afterward. Thank you, for encouraging and inspiring us to seek Him beyond what we are already doing. What I enjoyed about Platt's first message was how he focused on Jesus being the end goal, the destination. Not a better life, healing, or even a changed world. I desperately want the nation and world to be changed, but above all we should take Jesus' words seriously to glorify Him, because He alone is worthy. Why is this distinction important? So that if we don't see the change we seek we won't lose heart, because our eyes are fixed on Jesus. I say that without downplaying the amazing growth of the Kingdom of God if all or even a fraction of Christians lived radically in the way of Christ. I love David Platt's preaching! :) Can't wait to listen to this series! Thanks! Praying for you and your girls. Your words have helped me to put my faith into action. I have emailed Gwen and one child at a time, we will be sponsoring and supporting your children, Gods children. As many as we can. Thank you for posting this, Katie. I'll be glued to the computer screen with my husband over the next few evenings watching.Praying for you often from Indiana! Katie - thanks so much for stepping out in faith to share your heart about Christ's message (delivered by David Platt) a few days back. I have listened to all eight messages and my heart will never be the same. I have listened to a few with my small sons and am working through these life-altering truths with them. Please pray for me as I seek to share this with all who I know. I am trying, and it's harder than I ever imagined. People are just too busy to care. It breaks my heart. Love this post! Going to check out the sermons right now! We just started listening to that last night! and LOVE it! and I had just posted about it too. SMALL world! BIG GOD! My family has been doing the radical series!!! We started a study group on Friday nights and we all get together and watch it! Truely changed our prespectives!! Thanks for sharing!! I heard you speak on WMBI last week and have been catching up on your blog...going backwards, I'm back to 11/07. It's amazing to see how God works through you. I can't promise I'll listen to all 8, but I will at least try the first one. I can't wait to see the fruit of this. The glory of God in Christ! Making disciples of all nations. PS- been thinking so much about your 'cost' this last week, and praying for your broken heart. During our RSG night, Platt quoted someone saying "what God demands, God gives". Amen to that! Praise the Lord!!! There is not much to say than that!!! Thank you for sharing this Katie. I'm listening to the first one right now- challenged by the questions: will we choose comfort or a cross? will we choose maintenance or a mission? will we choose indecisive minds or undivided hearts? ~Do I really believe what the Bible says?! Katie, your life demonstrates which of these choices you have made and the road you have taken- in other words: you are BELIEVING God and His word! The Lord has used you to impact so many more than you will ever know. Thank you for being used by Him to challenge us to live radical lives for His glory! Thanks for passing these along. We have already begun to watch them and are totally blown away! Thanks for urging us on! I watched the first one from your last post and told several people. I really liked what he said around the 20 minute mark. You'll just have to listen to know! :) I guess I'll have to watch the rest now. Thanks, KT! I am new follower of your blog, I actually read the whole thing last week. Sunday I wasn't able to drive to church so I listened to one of those sermons. I'm actually from Birmingham, and David Platt is amazing. Since Sunday when I heard that sermon, I've been really praying over what my role is. Today I read Matthew 25:31-46, and again, I am struck. What is my role? How am I supposed to live this out? Thanks for posting what you did. Its given me a lot to think about. I am definitely going to listen to the rest of those sermons. I am really being challenged. From everything I've read, but mostly from just thinking through what God's Word has to say about these things, I think it is very challenging to live the Christian life in America, where we can live our safe, comfortable, middle-class, stay away from those who are undesirable & not like us (& who are dirty and smell bad), do as we like life. It's in our culture- in our entertainment and it's what we're taught and is therefore deeply seated in the way we think. It's how we live, & it's antithetical to the way we're called to live as followers of Christ! We're in the same boat as the Israelites in the O.T., it's just different idols our hands & hearts are grabbing after and clinging to- & God is not pleased! Platt points out in one of the sermons, citing an OT text I believe in Isaiah, that one of the major reasons for the judgment of Sodom and Gomorrah was because of their negligence of the poor, widow, and orphan. That is an indictment on the American church! I believe that we as believers have to realize what God's Word says about all this, humble ourselves, repent, & in the power of the Holy Spirit, change the way we think & live. My wife and I feel like we would be relieved just to get away from our American life to somewhere like Ethiopia or Uganda where we learn to be dependent on God everyday, instead of the self-sufficiency we suffer with (& the Bible warns us about) because we are rich Americans (if you're an American you're the rich the Bible talks about & considering what it say's that is scary!). Also, somewhere where we can encounter daily the "least of these"- poor, needy, desperate, fatherless, sick, humble people we can love and serve. People, who Matthew 25 says to take care of, is to take care of Jesus! Katie, thanks for posting this. I have, with every chance I get, told others about these life-changing "Radical" sermons. It really makes me glad to see all of your readers made aware of them, & not just them, but also the applicable James sermons, which are just as good, & resulted in "The Radical Experiment". Just to let you know, David Platt's "Radical" sermons are coming out in book form in May called, "Radical: Taking Back Your Faith from the American Dream", published by Multnomah Books. (Katie, my wife and I would be happy to send you a copy if you'd like, just tell us how. We would like to send you a care package also). Also, the next "Secret Church" at Brook Hills on April 30 will deal with this topic and is called "The Gospel, Possessions, and Prosperity", which will be able to be downloaded shortly after. Thanks for this post Katie! My wife & I love you and pray for you, your children, & ministry regularly! May our Lord Jesus Christ Himself, & God our Father, who loved us & gave us eternal comfort & good hope through grace, comfort your heart & establish it in every good work & word! so excited to watch it. and i'm sending the link to my husband (our small group leader!) right now! thanks, katie. i'm so thankful for you. i listened to the first one and WOW...cannot wait to go listen to the rest! Thanks for telling us about him katie! Thank you so much Katie. I read your blog reguarly, and love to see what God is doing through you. I have been watching the radical series over the last few months, and have had the honor to hear David Platt preach at the university where my husband teaches, on these very topics...if you are a follower of Jesus and listen to them, you will not be the same. I love your heart, and I love orphans...thank you for what you are doing. I saw the link for the Radical series in another one of your posts, thanks for putting that out there, I am really loving the series! Jesus Does radically change the world every single day. the Lord told me to check your blog last tuesday night, after i had turned out the lights and gone upstairs to bed...i thought to pray for you. i blew it off, thinking, no, she probably hasn't updated it recently, plus, Lord, You already told me to turn off my computer and go to bed...and yet i couldn't shake His prompting...go read it. i checked it, and as the Lord had said, the latest didn't have anything to do with your pet monkey. i watched the first radical video and spent the next day in tears. in my weak, infant faith, the Lord is meeting with me. may my journey be as glorious as yours. thank you for boldly inviting me along. i love you for that. I can't express to you how you have changed my life. I know God placed your blog in my life to show me the reason he has been whispering "Africa" to me these past several years. I watched the first of David's sermons and my husband found me in our living room crying because we have SO MUCH in comparison to so many. The short version of my story is we are now pursuing an Ethiopian adoption. Thank you so much for all you do and the words you write in this blog that have opened my eyes and changed my heart forever! I have one left to listen to. I have been following your blog for a few weeks now and found his link last week. You are so right. I can not get enough. I have a husband and 3 girls that have been very patient with me as I have had earphones on everyday listening to these sermons. I am sad that tomorrow I will listen to the last one. I am sure I could listen again and grasp more each time. I am going to ask my husband about leading this is small groups. I want to share it with everyone I know. I am so challenged! Praying about what to do with all of this now. THANKS so much for sharing this! I so enjoy your blog as we have adopted a 6 year old from china and are in the process now for a 12 year old girl. We have 2 girls biologically. Partial to girls here too. Love seeing all of your precious girls here on your blog. May God continue to bless you! Great recommendation Katie. You are doing so much good through this blog!! May you continue to live by the Spirit each day because as you said in your post about your journey (and mine): it is FAR from over! I have just finished listening to the Radical series and look forward to getting together a small group to work through them together. I hope to see you in June if you are around when Seggy Hannington takes a group to Uganda. Katie, I am 15 years old and have been reading your post for a couple months know! I have also started listening to David platt. I just want to say, reading your post has changed my life, because of you I am know more open to what God wants me to do after High school, and I'm pretty sure that consists of going to Africa and living out his love! Your are in my prayers constantly. Okay. You have moved me to check 'em out! I'm a member of Brookhills and I have the privilege to hear David Platt speak every Sunday. Something he said this past Sunday really resonated. "Do you desire the promises of God more than you desire his presence?" Having been at Brookhills before David arrived and seeing the change that has occurred I can emphatically state the what is going on is an out working for a desire for God's presence. Many people want to hold up David or hold up The Radical Experiment and focus on that. The only reason we are able to do what we are doing is because we desire God's presence and seek to glorify Him and follow His commands. So let me challenge you. Start with the Word. Start with a sincere desire to know God and glorify Him. Be like Moses, who had been to the top of the mountain and seen God's glory and yet cried out to God that he would see Him even more. We are working our way through them! I agree I am trying to get everyone I know to listen to them too! This is the third time in two weeks I have been directed to this sermon series. The Holy Spirit is working mightily through these words! After listening to the first one you suggested, my husband and I had to listen to the entire series! We have begun to share it with our friends, posted it on my blog and facebook and like you hope this is catching and life changing for many!!! Living God's word, unhindered and as He intended is a blessing I don't want to miss! Thanks for allowing Christ to use you to point us directly to His heart and will for our lives! And I'm looking forward to incorporating his messages (Jesus' message...) into my project. Thank you for allowing God to use you to make us uncomfortable...because Jesus didn't call us to comfortable, and yet I think a lot of us live like He did... It's about time we examine the cost. I live in Birmingham and go to a church a mile down the road from David's and every chance I get I go listen to him he is so amazing. luckily I am coming to Uganda this summer for a two month mission trip. I hope everything is going well for you. The girls I meet with for Bible study are just getting ready to finish the guide we've been using. I'm going to suggest to them that we do this series together. Even if we end up choosing to go another route I'm going to do it- one way or the other. You've received a very encouraging response to your challenge. I had bookmarked that series a few weeks ago, intending to watch it. Facing the cost of discipleship has been weighing on my heart recently. Thanks. My husband and I LOVE David Platt and the truth he speaks about God's word. It has challenged us in SO MANY ways and we are making some dramatic changes in our life so that we can fully seek out God's desires for our family. Katie...I noticed that the series notes are dated 08'....putting it about the time you began your journey. I was curious if you heard this before you left and if this was influential in your mission. Or if it just echos what you are already doing. Either way, really amazing. I am committing to listening to the entire series. Thank you for passing it along. thanks for sharing the link! I just discovered your blog and I am amazed! God Bless! Ok Katie, you're right about the Platt sermons. Im up to number 5, and I'm going to listen again before I go to work this am. Thank you for what you're doing and for your blog. I also agree with what is being taught through David, so true. I only hope and pray that more so called Christians would accept what is being taught and not ignore it. I pray America would turn fully to God, repent and turn from materialism. Thanks for sharing Katie, stay strong in the Lord. I would like to see the work going on in Uganda in person, and maybe meet you some day. Am excited to listen to this series! My name is Jacqulin. I am 11 years old and I am in 6th grade. I go to ClearView Baptist Church in Franklin,TN. Our bible study today ( 2-28-10) was about you and how your journey is and how God has called you to do things. I know this is a lot to ask but if you don't mind could you just please send my 6th grade sunday school class an email through my email (runnjsms1998@gmail.com) just telling us hi and a little about your journey. Thanks for all you do!!! Visiting from Kelly's Korner, though I have actually been a reader of your blog for awhile! You are so inspiring, and you are a hero to SO SO many. Thank you! Katie, I just want to say and re-iterate that you have literally rocked my world and I will never ever ever ever ever again be ok with living comfortably. I yearn for God to break me for his will. You have gave my heart a makeover and clearly God is speaking right through you. You are an obedient woman of God and being your same age I know the thoughts, what-ifs? that go through your head daily. I know the heartache of leaving your family thousands of miles away. I ran across your site tonight and read your first post...I totally agree that David Platt's series definately puts a different spin on our "comfortable Christianity" and the world we live in today. My husband and I were in Birmingham and heard David preach part of this series...he is a dynamic speaker and blessed by God. I look forward to reading through your blog and getting to know you better. We are watching. We are listening. We are acting. thank you for your heart and for the earth shaking movement you are making on the other side of the world through your compassion and sacrifices as you count the cost...Christ's love shines through your story! i am so blessed to have been directed to your blog, your example of real-life discipleship is inspirational and life-changing. i give God praise for the ways He is using you in so many people's lives that you will probably never even meet. HOW GREAT IS OUR GOD, HE REIGNS! i look forward to the day the Lord leads me in His perfect path and timing to full-time ministry in Africa...until that day I will devote my prayers towards those who are actively reaching the poor, the orphaned, the widowed and hopeless through the love of Christ! keep it up girl!! It isn't hard at all to start making money online in the underground world of [URL=http://www.www.blackhatmoneymaker.com]blackhat method[/URL], It's not a big surprise if you don't know what blackhat is. Blackhat marketing uses not-so-popular or misunderstood ways to produce an income online. I am in the development of finalizing my domain website buying. I've gone surfing many stores and for all time this [url=http://www.websitetraders.com/]websites for sale[/url] portal appears secure. Anybody have an idea doing business with them? Genial brief and this enter helped me alot in my college assignement. Thank you on your information. Loving the RADICAL series. Thank you for "refreshing the hearts of the saints!" You "refresh the hearts of the saints". Thank you for your encouragment and living the life that Christ calls belivers to. I am so loving the RADICAL series and live here in Bham Al and was thrilled to hear it was a local pastor. Prayers your way! Thank you so much - not only for sharing the amazing life God has given you, but for your obedience to His word. As I listen to David Platt, I am challenged to my very core. My fear is that I will react like the rich young man and sink back into comfort. I pray that I don't. Your words, Platt's words, Jesus' words in His word... they all point in the same direction. When you take time to read these comments with your girls, please pray that we who are challenged will be obedient to Jesus' commands. I join you in your prayer that this becomes a great wave of faith and works, spreading throughout human kind. Wow, Katie! I'm an event planner in KY and met David Platt at an adoption conference we hosted here a few days after this post was written. Since then, I was able to get my hands on an advanced copy of his book "Radical" coming out in May. A friend posted a link to your blog on Facebook, and well - here I am! Thanks for writing about the work that you're doing...and for keeping the dream alive in me to live with radical abandon in pursuit of our Savior! We are half-way through and it is Life-Changing. Beyond. I'm scrolling through your archives to determine exactly how many girls you have with you (I'm linking to you to talk about the magazine bead necklaces!) and I just found this tidbit, which I don't remember seeing before. It's one of instance of God confirming that our life is about to get cray and wonderful!